The 2016 Major League Baseball Postseason has finally reached the City of Cleveland and the city, businesses, residents, and fans and ready to “Rally Together” behind our Cleveland Indians. The City of Cleveland and downtown area partners are preparing to accommodate the increase of sports fans and visitors from all over the country and would like to provide the following tips and information to make this experience memorable and enjoyable. Huron Road from Ontario Street to Prospect Avenue. Be cautious of counterfeit tickets. 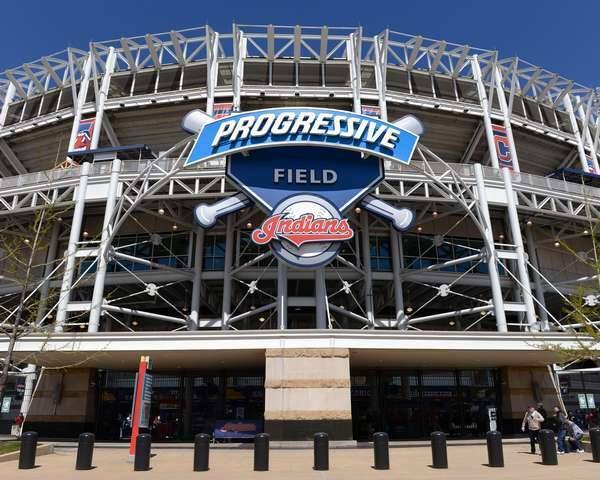 Be cautious of purchasing postseason tickets from individuals selling on the streets near Progressive Field. Fans who purchase tickets from a secondary source are taking a chance. Tickets for Games 1 and 2 of the American League Division Series on Thursday and Friday are sold out, but purchasing from other sources besides Indians.com is done at the buyer’s risk. Police officers want to proactively curb such activity and encourage buyers to be aware. Purchasing via other means creates the potential for possessing either an invalid or counterfeit ticket. The Indians are not responsible for tickets purchased through secondary sources. Arrive early. In order to ensure that you arrive at your destination without missing a second of the action, plan your commute beforehand and allow yourself extra travel time. If you see something suspicious, say something. Report any suspicious activity to safety officials. Ride RTA. The Greater Cleveland Regional Transit Authority (RTA) is celebrating the Indians this playoff season by extending service on all rail lines for the playoff games. Late-night service will be available on the Red, Blue, and Green Line — and guaranteed for 60 minutes after each game ends. Previously, the Green Line service ended at 9:00 p.m., because of service changes that began on September 11th, 2016. Thursday, the Walkway opens at 4 p.m. for an 8 p.m. game. Friday, the Walkway opens at 12:30 p.m. for a 4:30 p.m. game. To make all your travel plans go even smoother, buy your RTA fare media directly from your cell phone with mobile ticketing. The Bureau of Traffic will supplement their customary allotment of traffic enforcement officers with additional police officers and traffic controllers to facilitate traffic into and out of downtown and to assist with pedestrian traffic. Numerous officers will be detailed to the area during the event for added security and crowd control. The Ohio Department of Transportation would like to encourage everyone to download the OHGO app from the Ohio Department of Transportation to see real-time traffic speeds, hundreds of live traffic cameras, and travel delay times. Users can also set up custom traffic alerts.